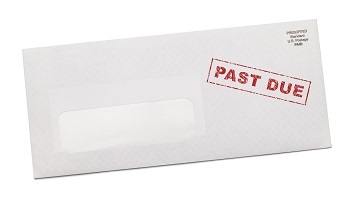 How to Handle Late or Missing Rent from Tenants in Florida | DeLoach, Hofstra & Cavonis, P.A. My tenant at a residential property is late on their rent, what can I do? Residential tenancies are governed by Chapter 83, Part II, Florida Statutes. In the event your tenant fails to timely make a rental payment, a 3-day notice should be provided to your tenant demanding payment of rent or possession of the premises. Should your tenant fail to comply with the 3-day notice, you may terminate the rental agreement. Should your tenant fail to vacate the premises upon such a termination, an eviction proceeding may be filed in county court where the rental property is located. It is important to note that the form and delivery of the 3-day notice must comply with the specific requirements set forth in Chapter 83. It is recommended that you consult with an attorney to address any questions you may have regarding proper notice to tenants or filing an eviction action. If I must file a lawsuit to evict my tenant, may I recover my attorney’s fees expended? Generally, to recover attorney’s fees in litigation there must either be a contractual or statutory right to same. Chapter 83, Florida Statutes provides for recovery of prevailing party attorney’s fees in certain circumstances. It is also recommended that in any written lease provisions for entitlement to attorney’s fees be included. Such provisions, when read in conjunction with Chapter 83, Florida Statutes, may be useful in recovering attorney’s fees incurred in any litigation necessary to enforce the terms of the lease. Please call me at (727) 397-5571 or fill out a contact form if you have any questions about landlord and tenant law.